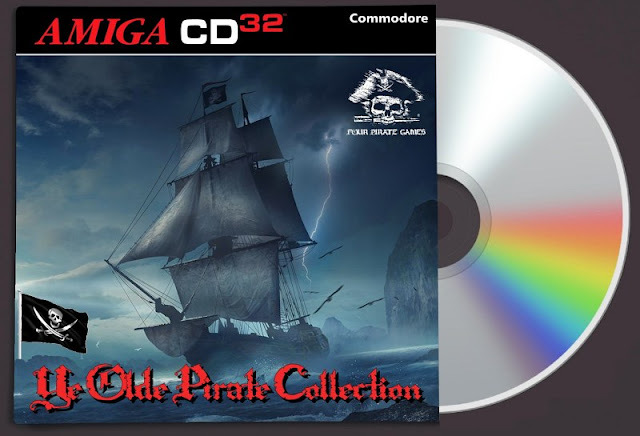 Indie Retro News: Ye Olde Pirate Collection - The best Yarrr Amiga CD32 release by Amiga Jay! 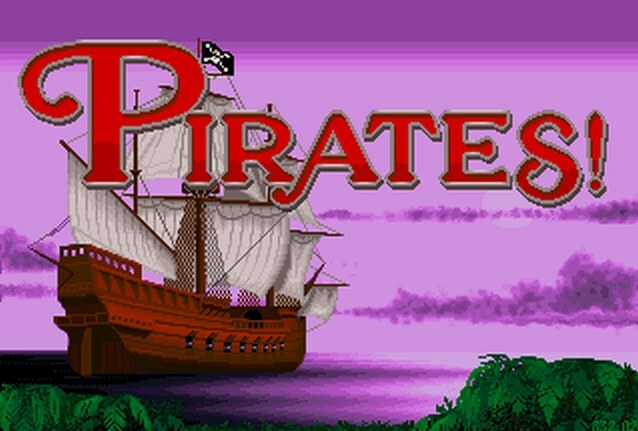 Ye Olde Pirate Collection - The best Yarrr Amiga CD32 release by Amiga Jay! For awhile now we've been featuring both Earok and Amiga Jay's Amiga CD32 gaming releases. There have been many titles announced, such as well known games that have never been on the Amiga CD32 to complete collections such as the more recent Team 17 pack. Well today we've got another special for you, and this one was done as a personal request from myself, which Amiga Jay was happy to oblige in the 'Ye Olde Pirate Collection'. If you love Pirate games, no not the ones you illegally acquire, but proper Pirate ship sailing ones, then this is the collection for you! In this small pack of yarr awesomeness, are four games with two of them being some of the best Pirate games ever released on the Amiga, and still brilliant even today. Those two games are Pirates! and Pirates Gold! which was created by Sid Meier and developed and published by MicroProse in the late 80's. It had you sailing a ship such as a Frigate, plundering other ships, looking for treasure, sword fighting on deck, and banging a rather hot Governors daughter! These games were so addictive, that once you started playing, you just couldn't put it down! If for some strange reason you didn't enjoy Pirates!, you could however play the two other games in the pack, Skull & Crossbones by Domark, which is a port of the arcade beat em up game with two players, but does suffer from poor scrolling. Or Traps and Treasures by Krisalis, which is a top quality platformer, that if you have your collection, could sell it for £100 in good condition on Ebay! So that's four incredible games, that make this finest Amiga Pirate collection ever to appear on the Amiga CD32! Pirates! (Microprose) - Original Pirates! game, unfortantely on a CD32 you can't save the progress, but i have included a save game with gold a plenty to help you along the way! 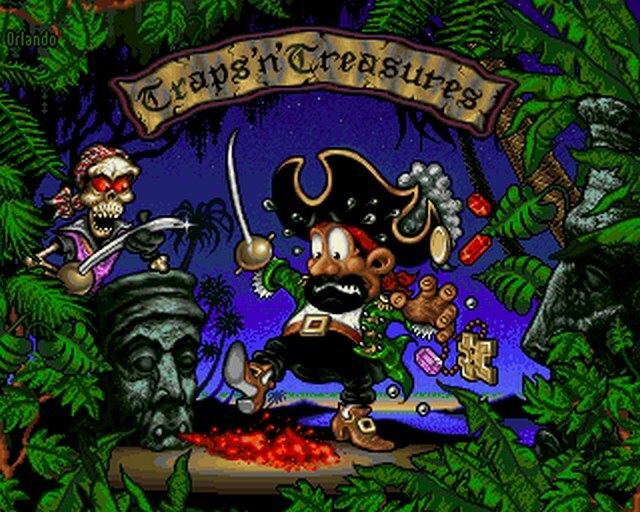 Traps & Treasures (Starbyte/Krisalis) - Cracking Piratey platform game. Skull & Crossbones (Domark) - Port of the arcade game, two players. Pirates Gold! (Microprose) - Full CD32 release with all the CD audio. JTOD - thanks for the awesome CD32Load. Earok - I'm sure its still worth thanking you regardless! Colin Attle - For the Pirates! Saved game file.